I can't believe its been a whole year since I first strutted the cobbles of Somerset House. In the space of 365 days a lot has changed, including my style. 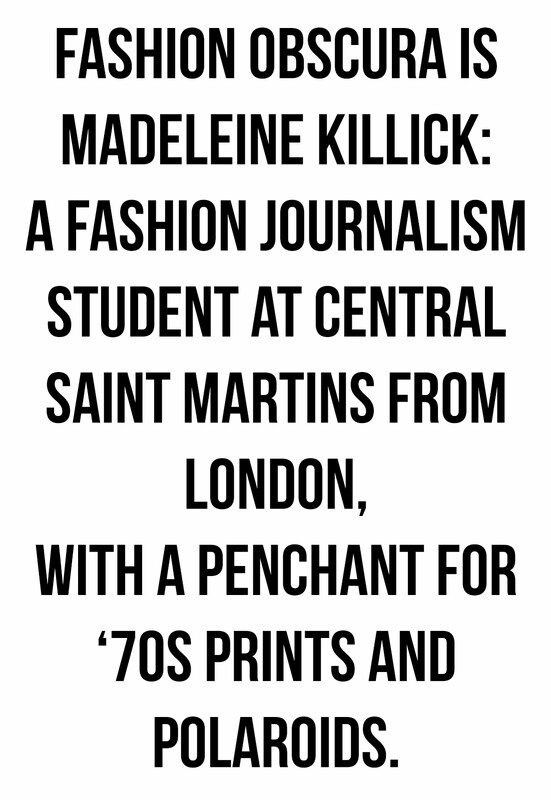 Since enrolling at Central Saint Martins, I have developed a surge of ignorance towards what I wear. I wear what I want, whenever I want. I don't dress according to society, or 'rules'. I like mixing different styles, shapes and genres of fashion to create my own individual style. I may have had members of the public tell me I look like an extra from 'StarTrek', a 'boy' and even a 'druggie', however, I would feel a lot less confident confining to society by wearing a pair of jeans and a t-shirt. 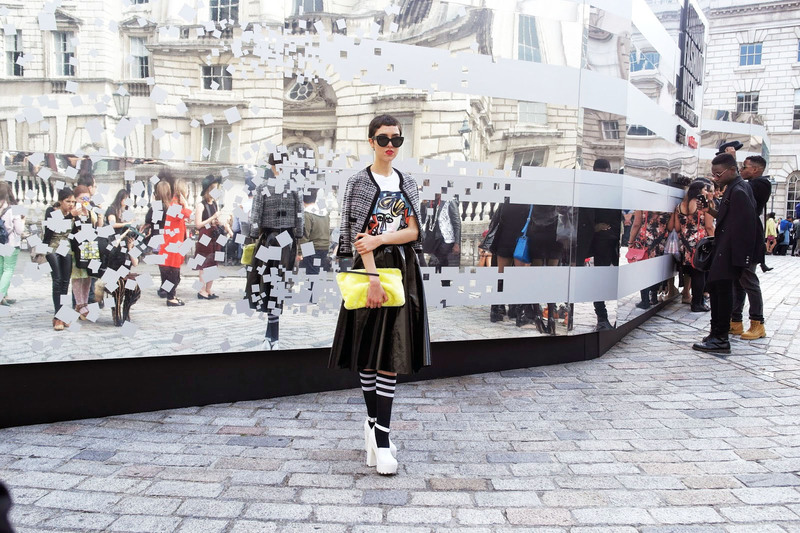 There is no greater place on Earth to broadcast your style than London Fashion Week. In the space of 5 days, 120 hours and 432000 seconds, the capital entails a star-studded manifesto of high fashion where every stich of a gown, each step of a runway model and every flash of a camera is carefully monitored by the elite of the fashion industry. London Fashion Week takes place twice a year, which is quite a relief considering the amount of wardrobe prepping it requires. Fortunately, my outfit choice for Day 1 of SS15 was quite a stress-free decision. Prior to the event, I knew that I wanted to unveil my recently purchased, and much loved, Beth Postle t-shirt. For those who don't know Beth Postle, she is a recent Central Saint Martins BA fashion graduate. Despite having just graduated, Postle has become distinguished for her Cubistic technique which echoes the silhouette and portraiture of Picasso. Being the art enthusiast and Picasso devotee that I am, its no surprise that I instantly fell in love with Postle's aesthetic. I also admire the way in which each t-shirt is hand printed and painted; its like wearing a painting! The toughest decision was deciding what to pair with the t-shirt. I decided to style it with quite a simple, monochrome attire as it complimented the bold outlines of the t-shirt's print. I added a few hints of block colour, including a yellow clutch and coral red lipstick, which highlighted the paint strokes of the illustration. 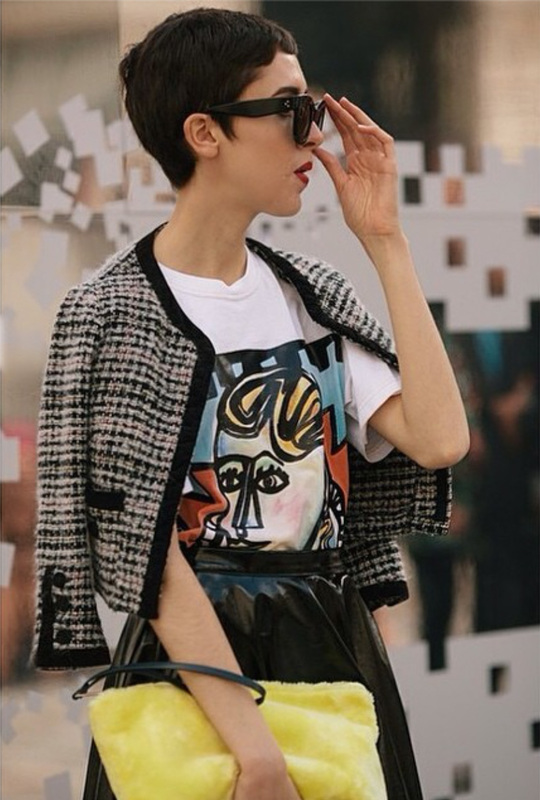 The overall look is very feminine; the classic A-line skirt and Chanel-esque, tweed blazer ooze elegance. However, I incorporated my individual style by obscuring the textures and shapes. The combination of the black Latex skirt with the furry clutch, and the white, chunky heels with the gym socks, draw a rather Surrealist misé-en-scene. My look is far from conventional, but who wants to blend in with the crowd at London Fashion Week?